The University of Edinburgh recently became the first Higher Education institution in Scotland to advertise for a Wikimedian in Residence. The post will be based within Information Services where the successful candidate will work alongside learning technologists, archivists, librarians and information literacy teams to help establish a network of Wikimedians on campus and to embed digital skills and open knowledge activities in learning and teaching across the University. Applications for the post, which is part-time and fixed term, are open until the 29th October 2015. The University of Edinburgh already has a strong tradition of engaging with the Wikimedia Foundation through Wikimedians in Residence at the National Library of Scotland and National Museums Scotland. A number of editathons have already taken place at the University focused on raising the profile of women in science and Scottish history. The hugely successful Edinburgh Seven editathon, focused on the first women to be admitted on a degree programme at any British university. 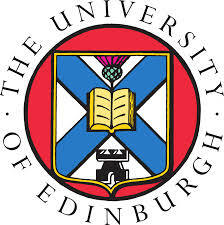 The achievements of the Edinburgh Seven were also recognised when a commemorative plaque was unveiled by Fiona Hyslop, Cabinet Secretary for Culture, Europe and External Affairs, at a ceremony in the University of Edinburgh’s Anatomical Museum in September. Another Women, Science and Scottish History editathon will be taking place at the University on Tuesday 13th October to coincide with Ada Lovelace Day, the international celebration of the achievements of women in science, technology, engineering and maths (STEM). In addition to the editathon, the event will feature speakers on Lovelace, research using LEGO, programming and games, and sessions on composing music with algorithms, and building Raspberry Pi enclosures with LEGO. This entry was posted in higher education, oer, Women in Tech and tagged adl15, adl15eduni, oer, open, OpenEdFeed, wikimedia. Bookmark the permalink.